John W. Dickinson was the son of John H. Dickinson, one of the first coroners in the city of Williamsburg. 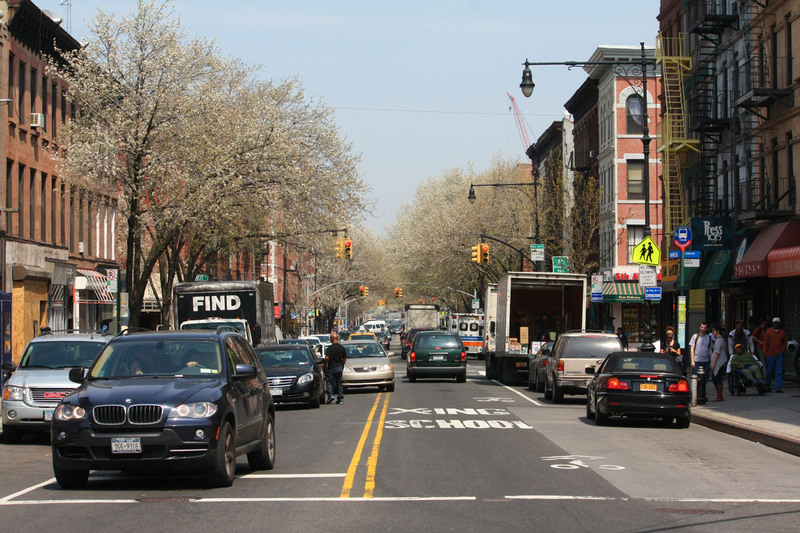 Williamsburg has long been incorporated into Brooklyn, NY. 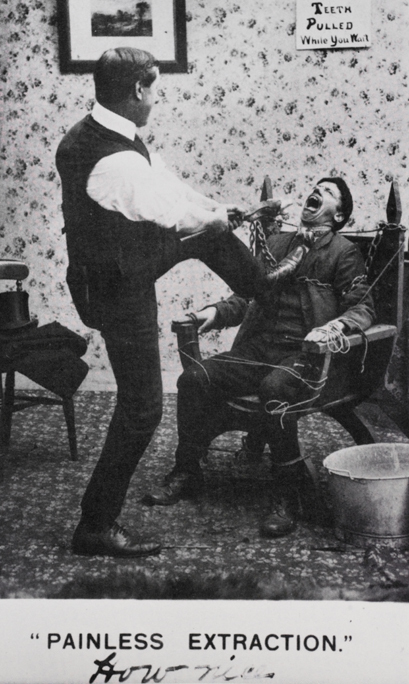 John W. became a dentist. John W. Dickinson fought in the Union Army for four years. He originally enlisted on May 6, 1861 and then reenlisted on Aug 22, 1862, and stayed until his term of service ended on June 19, 1865. He spent the last several months of his enlistment in Ward United States Army General Hospital, Newark, NJ. I haven’t been able to find out what happened to him, but he probably became ill as there were so many communicable diseases among the soldiers during the Civil War. 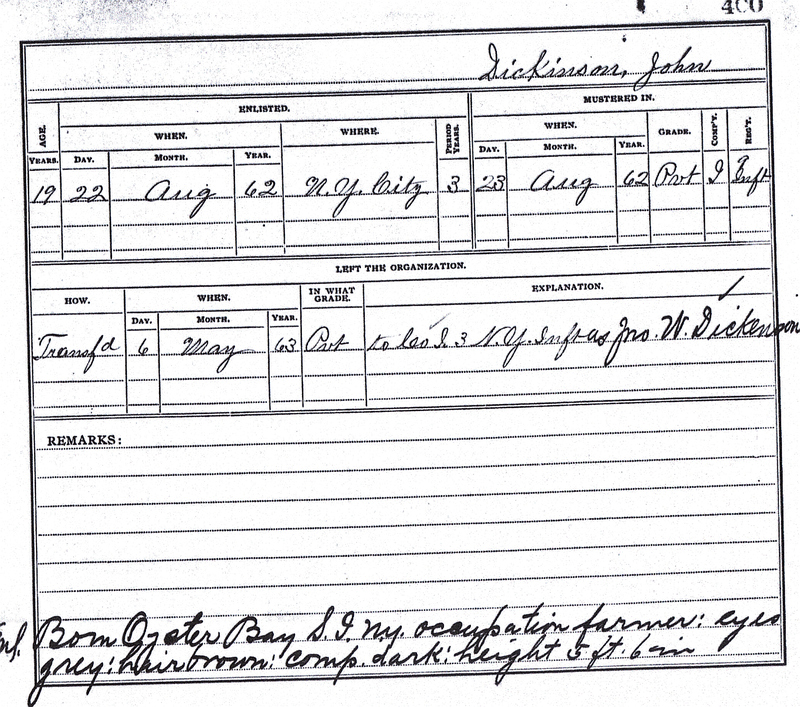 John W. married Emma Woodruff of Elizabeth, NJ on September 16, 1874. He was thirty one years old when he married. 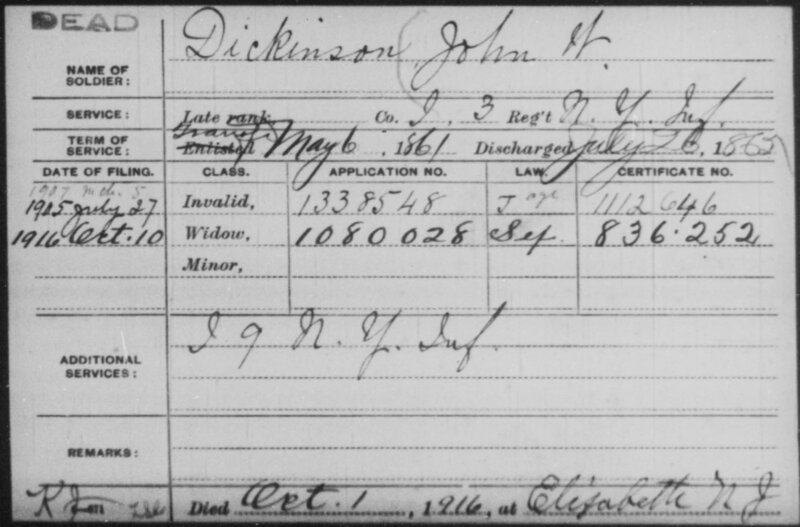 The Brooklyn Directory lists John W. Dickinson as residing at 522 5th Ave., Brooklyn, NY in 1884 and lists his occupation as a Dentist. 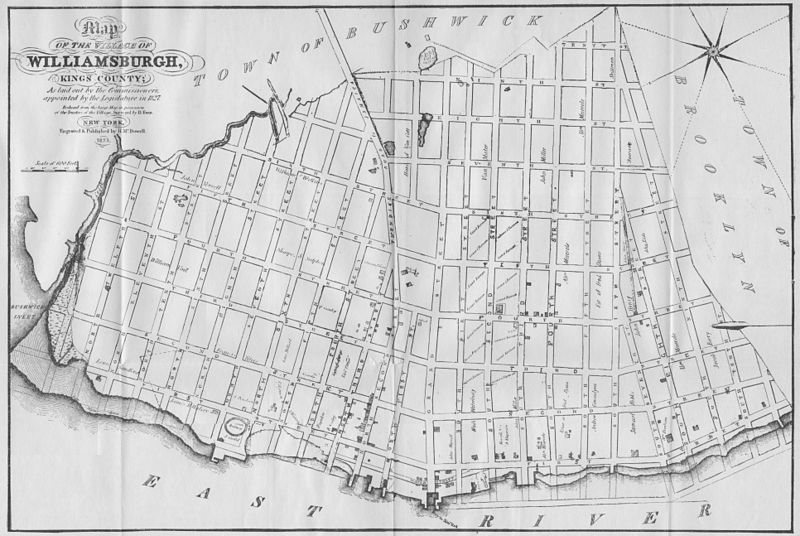 The original building has been torn down, but it is now a commercial area in Park Slope. 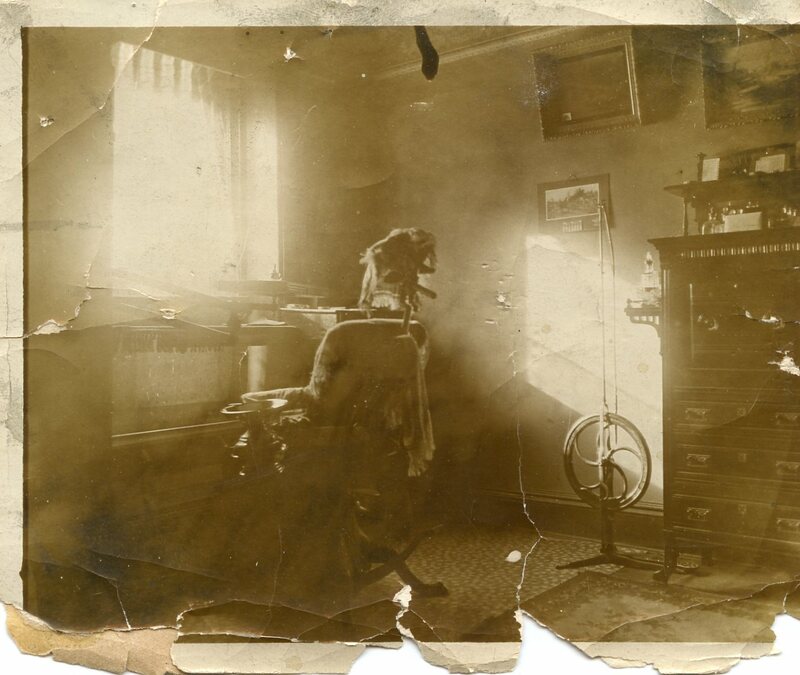 His daughter, Mabel Dickinson, had this photo of her father’s dental office among her belongings.